Whenever you tell us about one of your repositories, we have to store a copy of it on our servers. This allows us to quickly access your commit history and files whenever you wish to deploy the project. 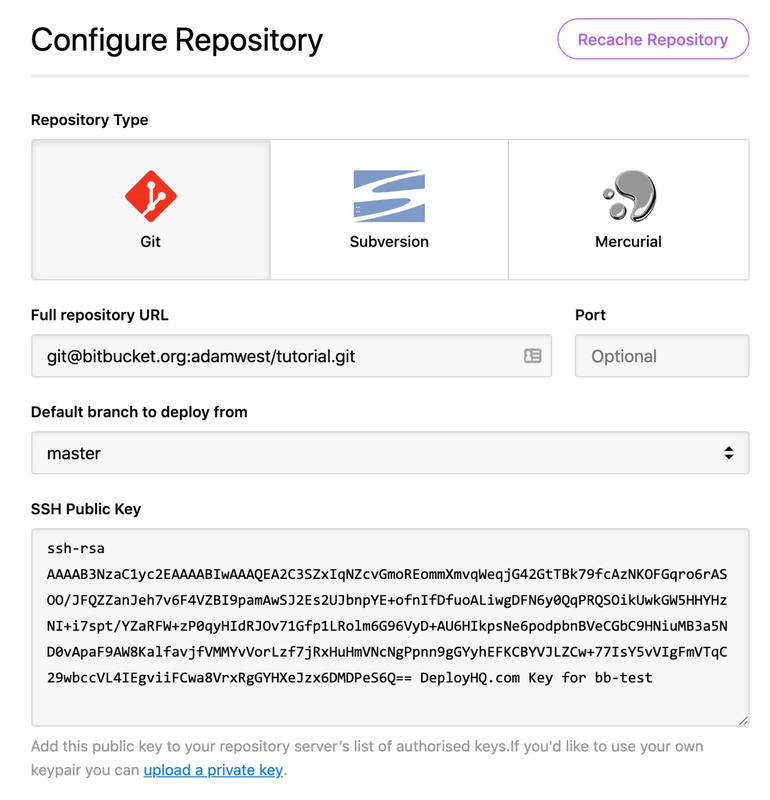 If you change your repository’s URL for example, we’ll need to re-download it and we'll recache it automatically, but if you need to tell DeployHQ to recache your repository, you can do so yourself at any time. Just head to the Configuration page via the link on the left hand side in your project, then click the Recache Repository button at the top of the screen.